At the Alexander Law Firm, in Pickens, South Carolina, we are proud to be a family-owned and -operated law firm that has served our personal injury and other clients throughout the South Carolina Upcountry for over 40 years. Our father and son team of attorneys is dedicated to providing clients with the personalized, caring legal services they deserve and to which they are entitled. In addition, we also handle Social Security Disability claims and appeals, civil disputes and wrongful death actions. 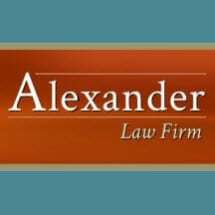 Alexander Law Firm clients can expect to work with knowledgeable, experienced and skilled attorneys who care as much about them personally as about winning their cases. Beginning with the free initial consultation, we take the time to get to know each client and then keep him or her fully advised and informed about the progress of his or her case. Knowing that this can be a very stressful time in our clients' lives, we make ourselves available to them whenever they have a question or need us in any way.